Already owned a Apexi RSM? Do wish to own a bigger shift lamp to indicate when is the correct shifting point of your engine? 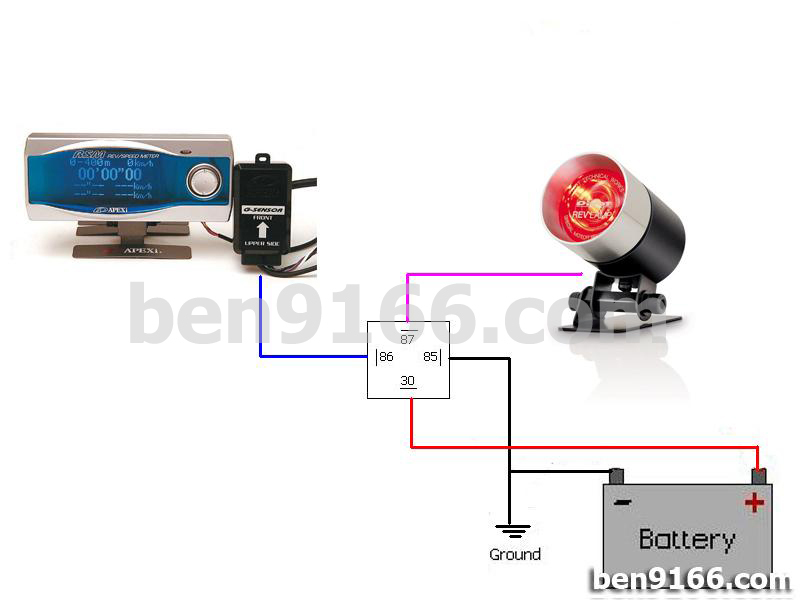 Here is a DIY on how to tap the shifting point signal from Apexi RSM to your shift lamp. Anyway, here are some information of what is Apexi RSM. APEXi RSM (Rev/Speed Meter) is a complete multi function measuring device designed to measure and monitor data such as vehicle speed, engine RPM, and elapsed times. It was crafted to match the likes of other highly popular A’PEX electronics such as the V-AFC (VTEC Controller) and the AVC-R (Boost Controller). Standard features include: Engine RPM, Vehicle Speed, Travel Distance, and Battery Voltage (All which can be displayed in real time graph mode, numerical mode, or analogue mode; 1-4 channels at a time), Peak Hold, Replay (With 60 second playback), Speed Limiter Cut, 0-100m, 200m, 400m times with trap speed, 0-100km/h, 200km/h, 300km/h – 0 times, user defined Mid Range Acceleration, Stop Watch functions, Best Time Memory, RPM Warning, Speed Warning, RPM and Speed Outputs (For external devices requiring an RPM or speed signal), Tire Size Correction (For acceleration and timing accuracy) and Vehicle weight input. This is the basic connection of the relay. lol can i know the price can be bought in kl? Not pretty sure the new one but it will cost you around RM400-500 for a used unit.